The Press of Robert LoMascolo: The newest book from The Press of RL . . . The newest book from The Press of RL . . .
Be sure to take a look at the newest book from The Press of Robert LoMascolo! Letterpress printed multi section flatback with blue leather spine and printed paper covers. Limited to 60 copies. Dimensions are 9in by 12.5in when closed. 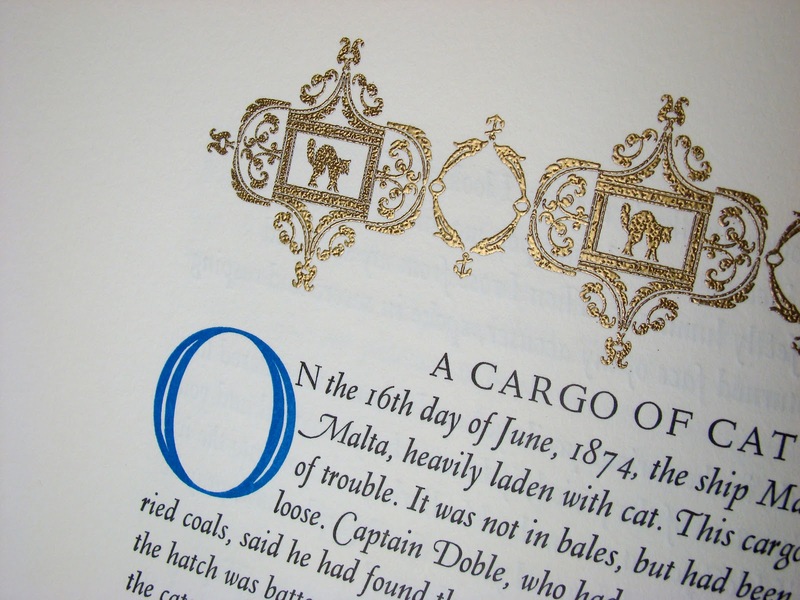 This project utilizes hundreds of hand-set metal ornaments printed using gold thermography, as well as many hand-modified and carved ornaments and decorative capitals. The text is set in 16pt Lutetia Italic, which is currently unavailable in digital form, and utilizes the many swash characters available only in metal. This book is a rare find today, being completely set from traditional metal type newly cast at The Press & Letterfoundry of Michael & Winifred Bixler!